Leather Guitar Strap Brown tobacco Sunburst OUTLAW Cowboy Rockstar Tooled Vintage Style Handmade for YOU in USA by Freddie Matara! 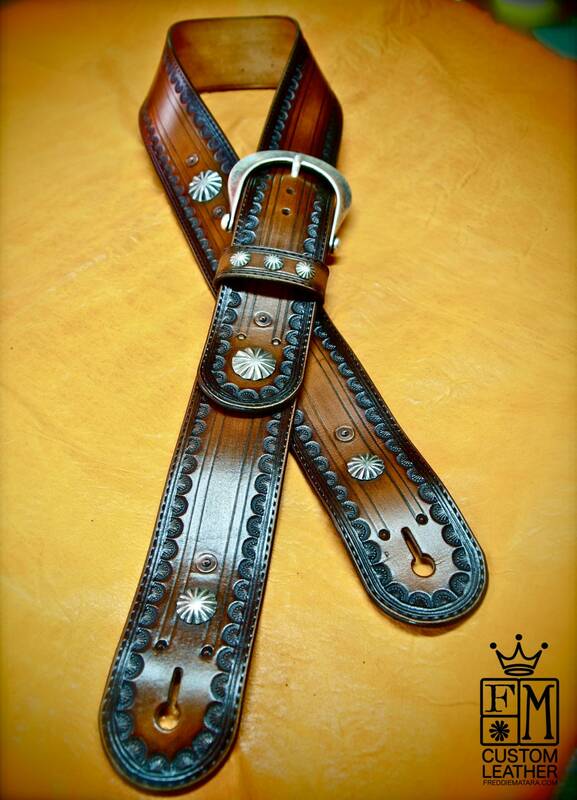 This Beautiful new Guitar Strap is completely handmade using 8/9 oz. Vegetable tanned Heavy Leather. It is hand dyed in a deep tonal tobacco brown fade, tooled, aged and waxed using traditional American Old West techniques. 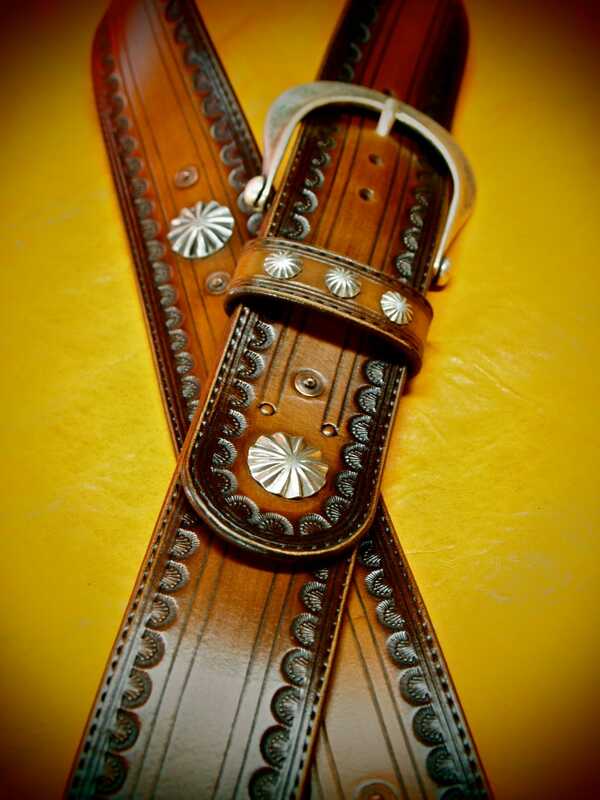 The perimeter of the strap is scribed and handtooled using a unique custom outlaw border, A beautiful western buckle sits right up front along with some vintage American made conchos and aged copper rivets. 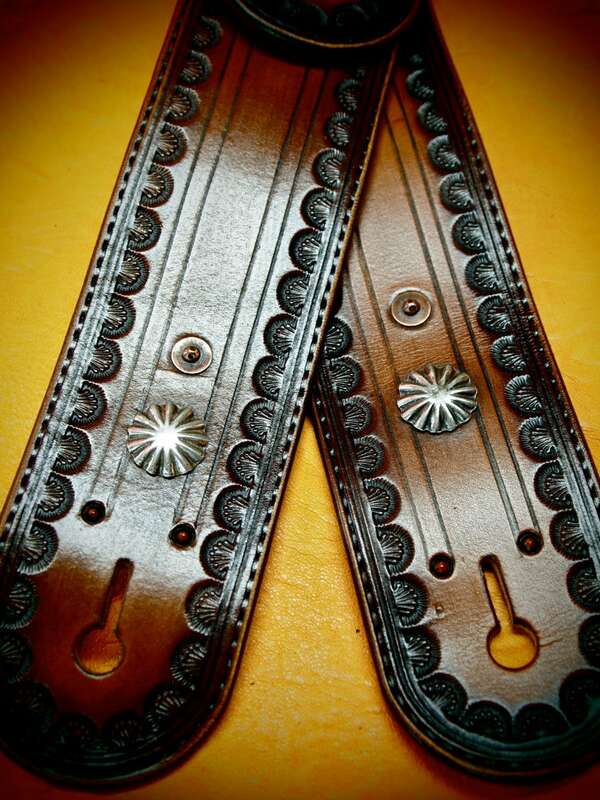 No electricity is used in the making of this custom Guitar strap ! This is a special edition strap.At 2-1/4" wide, it's a perfect width that won't get in the way of throwing down on your axe! Another great guitar strap. Looks fantastic. Thanks.